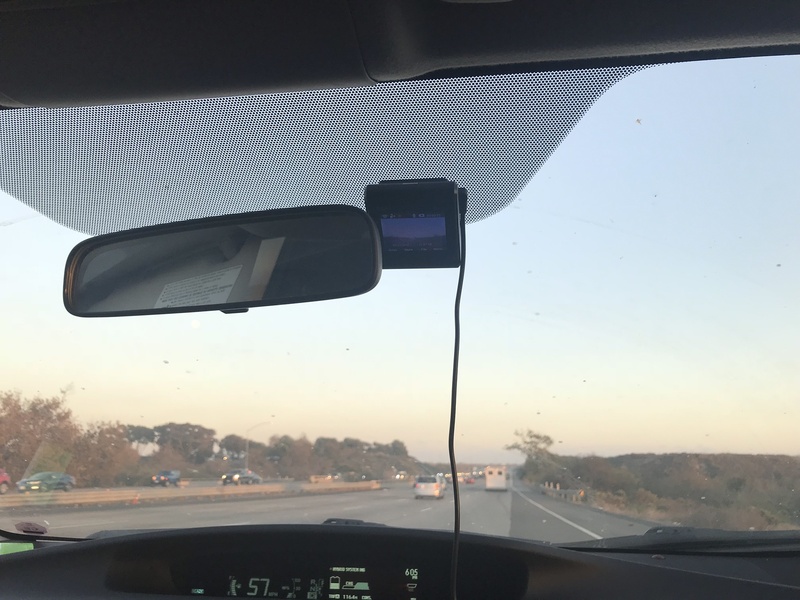 Everyone needs a dashcam, whether it’s to capture the sheer hilarity of driving down California roads (and the daily onslaught of bad drivers strewn throughout its freeways), protecting yourself against insurance fraud, or even to capture beautiful countryside roadtrips. 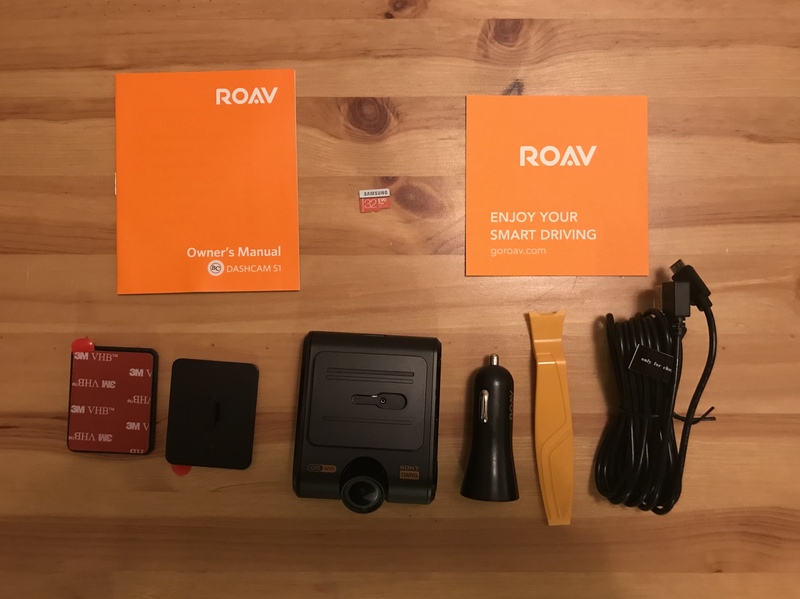 With its full feature set, relatively-inconspicuous looks, and easy to navigate interface, the Roav S1 Dashcam is an easy recommendation to anybody looking for one. Out of the box, it comes with everything one would need to install the dash cam. All lined-up, here you see the owner’s manual, a 32GB Samsung EVO microSD card, two 3M sticky mounts (which come with a mount that resembles a hot-shoe adapter to let the dash cam slide in securely), the camera itself, a Roav-branded dual 2.4A cigarette lighter adapter, a trim removal tool, and the USB cable. The trim removal tool was clutch when I had to take out my older dashcam. As part of testing out this dashcam, I had to tear out my old A118C which was getting a little long in the tooth. Though smaller and way more incognito than what the Roav cam, it lacked some features that I liked such as GPS and WiFi capabilities – the latter is very clutch because it lets you review footage without pulling the microSD card out of the camera. 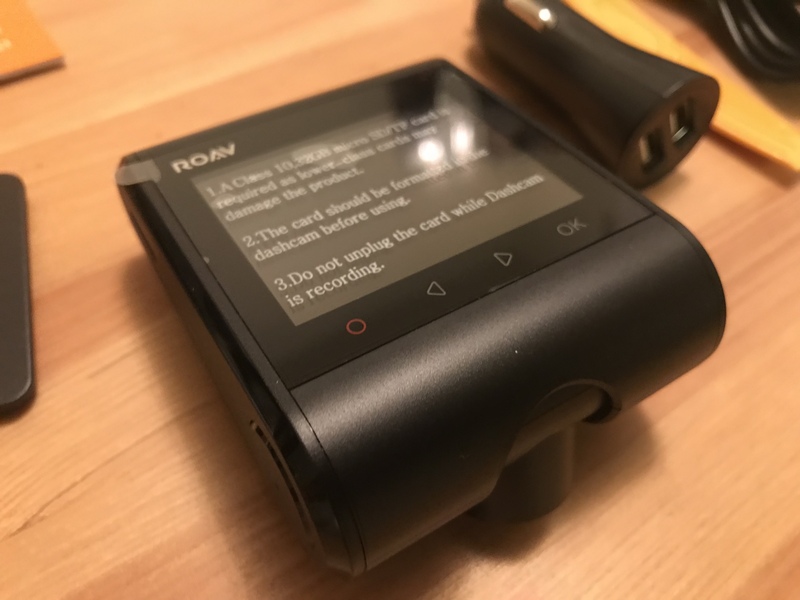 With it being a capacitor-based dashcam, it was also more heat-resistant but did not offer parking monitoring (in case of hit-and-runs) which was another huge plus for the Roav S1. Let’s talk about footprint. 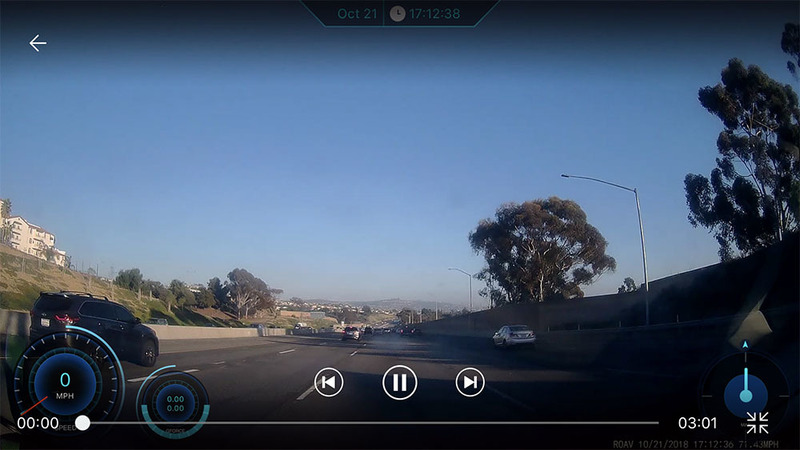 The S1 was definitely bigger than my previous dashcam, but the wedge-shaped body somewhat helped it stand out less. I saw other models in the Roav range that were more boxy and I would have probably not been cool with how much they stood out. 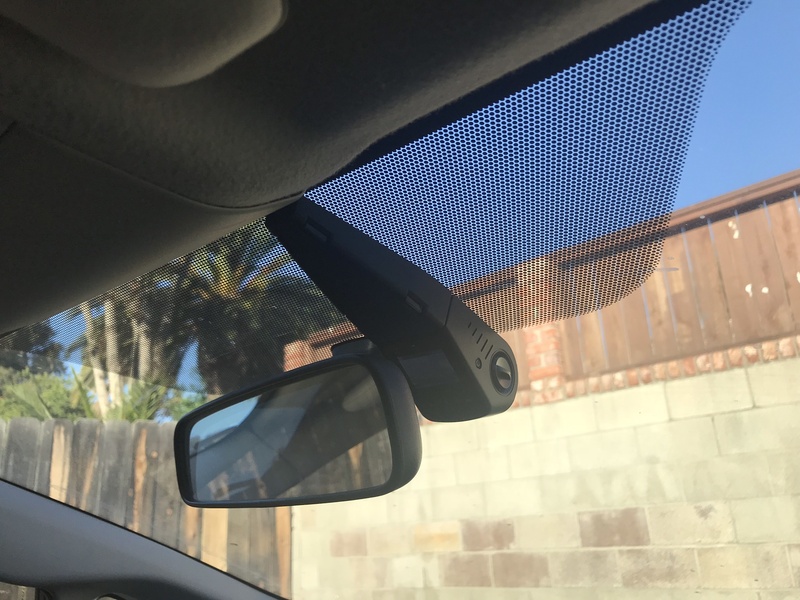 Though it did not come with an integrated cable guard to make it look more OEM (there’s a hint for you, Anker), it does look more “finished” and less cheap than other dashcams out there, so it does score some style points. Where it falters is with the included lead. They should have provided a pivoting, right-angle cable instead of sticking a long microUSB cable in the box and calling it a day. They even made the USB-A header right-angled, which makes sense if you’re running it under your glove box and towards the (included) cigarette lighter adapter. 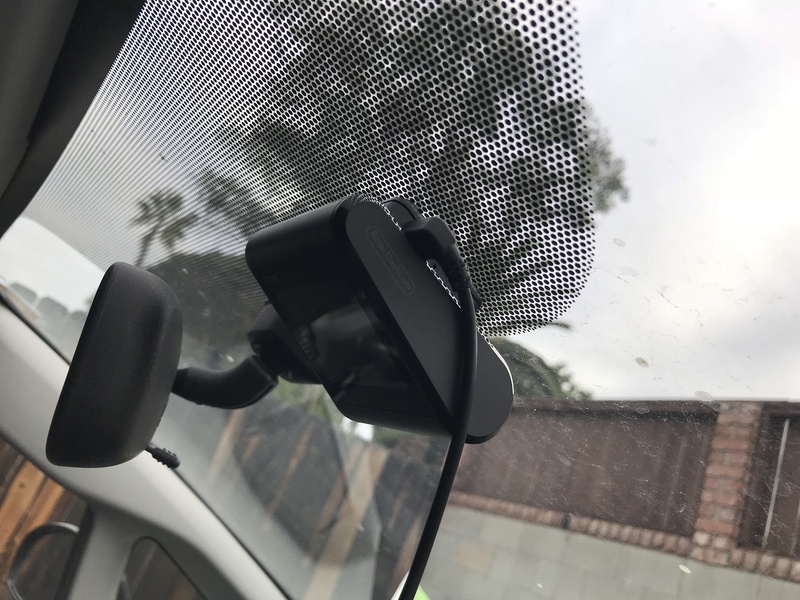 I had my dashcam hard-wired (which is trivially easy to do now with kits available for sale) so I didn’t even bother using the included cable – I had to buy a right-angle cable. As of this review though, I still do not have it plugged in the way I want it because I bought the wrong-sided cable (d’oh!). I’ll update this review with some more pictures once I get the correct cable. In the interest of anonymity, I am not providing any raw footage off my camera, but my impressions compared to the A118C are that the Roav S1 definitely does better at night and in challenging conditions such as fog. Night time shots appear harsh in an attempt to help capture license plate numbers, but in reviewing older footage from my A118C camera I noticed that the Starvis sensor did a much better job capturing detail in road signs, street conditions, and most importantly – car colors. Where my older camera would falter and introduce noise to compensate for its lacking low-light abilities, the Roav S1 shined by showing an impressive amount of detail with minimal post-processing. Of course, daytime shots fared much better and were acceptably crisp when I viewed them. 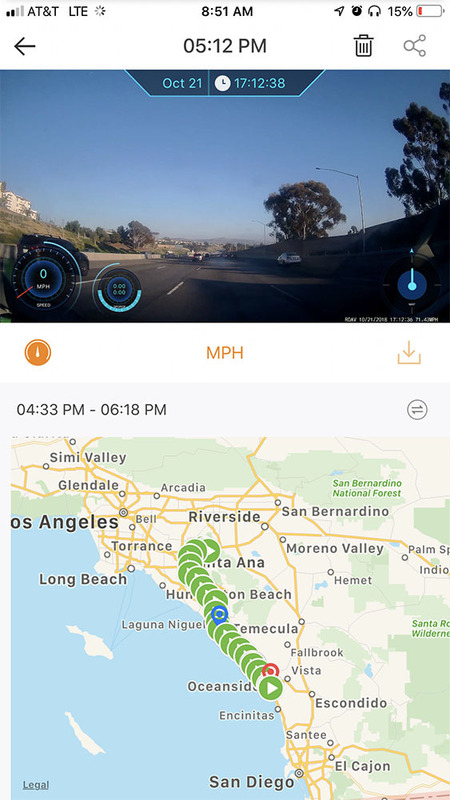 Though outside the scope of this review, the Roav app was decent enough and provided a lot of detail around each video, using the GPS and G-Force sensors from the dashcam. As you can see from my screenshots, there are a few overlays that you get by using the app, as well as a sweet map that records where each video clip was taken. The only criticism I had with the app is that it seemed very challenged in pulling large videos off the camera and was really slow. 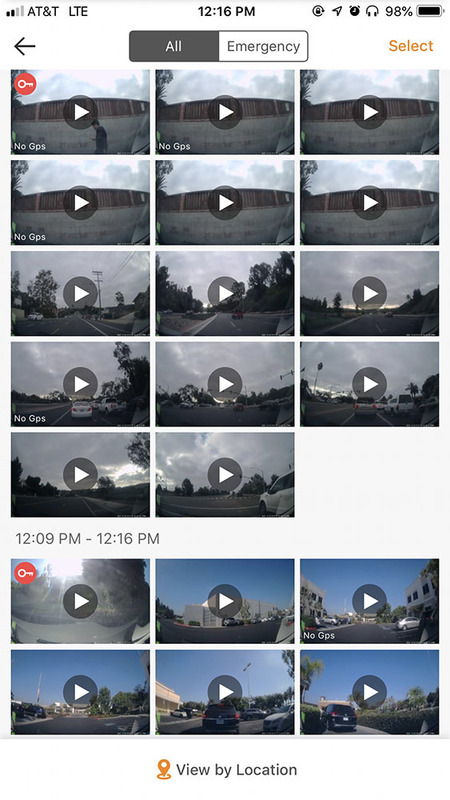 It also seemed to degrade the video a little bit when I viewed and downloaded videos off the dashcam, compared to what’s stored in the microSD. Not sure where the extra transcoding came from when it should have copied the file off the camera, direct. Great review !! well done! Great review, @ssrr! Thanks for sharing!